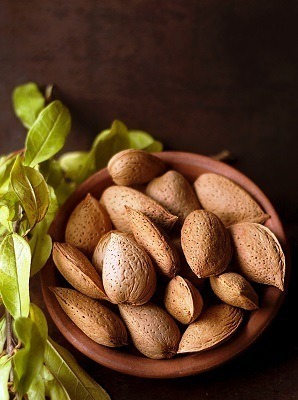 Almond oil is a highly potent extract of the almond nut. It contains high concentrations of antioxidants and nutrients, making it optimal for application in a number of beneficial situations for your health. Aside from having an amazing scent – almond oil can even be used as a perfume – it hosts a huge number of medicinal uses. Almonds have been studied and positively affect almost every system that operates in the human body. Almond oil is proven to have a positive effect on skin complexion. Free radicals are atoms that are missing or have had an electron stolen from their outer shell. They compensate by stealing electrons from atoms nearby, creating a destructive chain that can lead to diseases like cancer. Almond oil may have a high-fat content, but the oil is full of monounsaturated fats. Monounsaturated fats are the 'good' fats, which are responsible for lowering LDL cholesterol (LDL cholesterol is the 'bad' cholesterol. It oxidizes easily and can result in cardiac problems. Almonds are high in vitamin E, which is a nutrient of particular interest in regards to skin health. Vitamin E helps the skin maintain its strength and elasticity. This can prevent the typical symptoms of 'aging skin,' such as wrinkles, sagging, blotching, and loss of pigment. This process is similar to the way it rejuvenates your skin - almond oil contains a huge antioxidant profile. Some of these antioxidants work to protect the skin from degeneration. The circles that tired people see under their eyes are caused by inflammation. Almonds are very high in vitamin E, which helps reduce inflammation in the entire body. Supplementing with almonds can reduce the visible symptoms of puffy eyes with days. The skin on our lower eyelids isn't as thick as the rest of our skin. It dehydrates easily, and thus the blood vessels beneath are easily visible. Almonds can help fight against this unpleasant symptom. Almonds are very high in vitamin E. Vitamin E is a nutrient that’s very useful for combating the damage done by ultraviolet rays emitted by the sun. If you apply almond oil to your skin when you sense a sunburn coming on, the oil will help prevent any damage. You can use it in certain areas on your body to control your tan lines. Protecting yourself against UV rays could one day save you from getting cancer! Here are some of the almond oil benefits for for healthy, shining and long hair. Almonds are a good source of calcium. Calcium is a nutrient that's responsible for ensuring the proper growth of bones, teeth, and hair. Ensuring that your diet has an ample supply of calcium can prevent these things from occurring. You must use pure almond oil to see any benefit. A lot of oils on the market only have a small percentage of pure almond oil and are instead mixed with the products used in extraction. 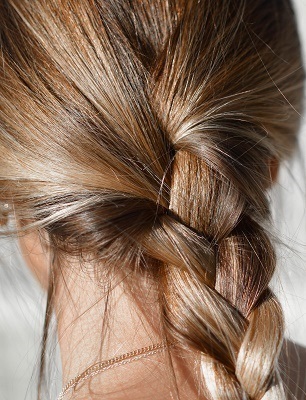 With pure almond oil, simply heat it up and massage it into your scalp. Leave it in overnight, wrapping your hair in a towel. The following morning, rinse it out - perhaps with another anti-dandruff shampoo for extra benefit. The GI measures a person’s blood sugar. High glycemic foods have a tendency to cause blood sugar to skyrocket. ​In a study, subjects were given white bread for the experiment, which is basically empty carbs and very high on the GI. They measured the blood glucose response after consumption of the bread by itself, compared to the response when eating at least two ounces of almonds. The effects make it visible - the more almonds you eat, the less blood sugar spiking you will see. High blood sugar can add an extra job to your heart in cleaning and pump the blood. But, due to your blood sugar in a good range, it helps your heart positively. Research has indicated that obese people can lose weight more effectively when they add almonds into their diet. They may ultimately consume more fat - almonds are quite high in fat - but a greater percent is monounsaturated fat. That’s the good fat - it helps rid your body of cholesterol. Both diets were measured to have nearly identical counts of calories. Some of the antioxidants in almonds allow the body to better absorb nutrients. Their cleansing of the cardiovascular system clears out cholesterol, and this lets nutrients and vitamins travel throughout the body much easier. Almonds are already very high in a lot of important nutrients - and they also help your body get more out of the nutrients you already eat! A lot of stress ﻿﻿and anxiety is caused by nutrient or amino acid deficiency. Almonds are of particular interest for those looking to strengthen their bone. Once digested, almonds leave a residue behind. This residue is called ash. Ash is very alkaline, which helps regulate the pH level in our bloodstreams. Eating a few ounces of almonds every day can prevent the acidification of the blood. The ash will neutralize the blood, returning the body to an optimal level of balance. Almonds have an extremely dense antioxidant profile. Some of the antioxidants ‘loosen’ up the blood, allowing it to flow more effectively to all parts of the body. This allows for simpler, more effective transportation of nutrients. Almonds are a very nutritious, antioxidant-rich food that have a whole range of healthy implications. They can fight against disease of the heart, skin issues, and digestive problems. They can even help your brain function at a higher level. If you’re a calorie counter, you don’t have to worry about almonds. While they may be a fairly high-calorie food, they have the necessary antioxidants to combat high blood sugar. They speed up your metabolism so you can burn calories more efficiently, and retain more of the nutrients available. They can even modulate blood glucose in a high-carbohydrate diet - an impressive feat for any food. Adding a few ounces of almonds to your daily diet routine not only gives you all the benefits that almonds provide, but they make the rest of your dietary intake have more of an impact. If you want to truly feel the benefit of almonds, try adding a couple handfuls into your daily meals. Previous Post What Is Riboflavin (Vitamin B2), And How Does It Benefit Our Health? Next Post 7 Chakras of Spiritual Healing: How Do They Heal the Body?